Warm and durable these 180 micron long sleeve tee shirts with an envelope neck are easy dressing and so soft and comfy for babies from 0-3 months up to 6-12 months. Now available in green & black in solid and stripes. 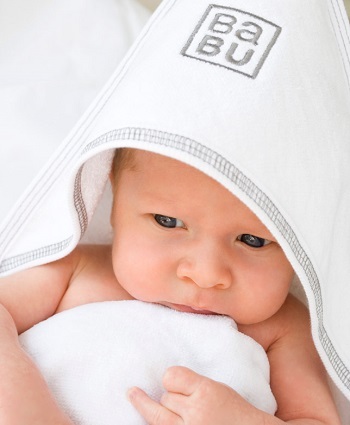 Made from 100% Merino Wool, these ultra-soft tees are great for delicate baby skin! I keep buying these because they are super soft merino perfect on top of other clothing or underneath next to the skin which means they last a really long time. I haven't come across any finer quality merino than this, so I will be a regular customer! Gorgeous! A must for your wee ones wardrobe. A lovely layer for little ones - the merino is so soft and warm. Love using these to layer under clothing during winter or as a PJ top for bed. Fits beautifully with enough stretch that they will last a good while. Lovely as a pyjama top. With the newsletter sign-up and 15% discount, these are actually great value and quality compared to merino selling in the stores. Definitely recommended.